Teachers and parents talk about building resilience in children. 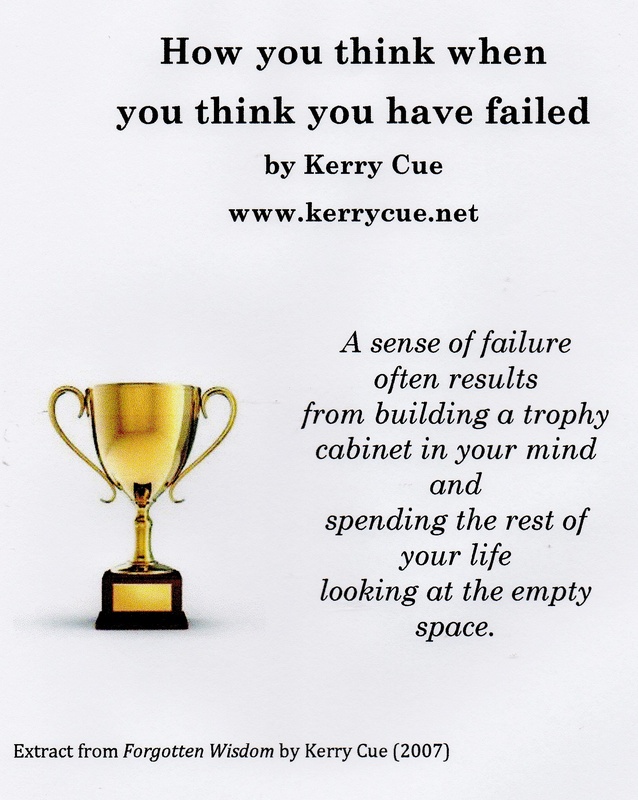 What is it about the nature of failure that holds us captive in its misery? Maybe this quote fails as a quote. Nevertheless, here are my thoughts. This entry was posted in Inspiring Quotes and tagged about, beyond, building, confronting, dealing with, difficulties in life, facing failure, facing life, failure, how to address, how you think, in children, Kerry Cue Quote, overcoming, postive thoughts on, resilience, surviving, the nature of failure, What you think, when you think, you have failed by Kerry Cue. Bookmark the permalink.